Trauma Informed Care is Within Reach! Quote from this site. For me, the most encouraging news for children and families in these past few years is we know how trauma impacts the way we live, learn, and interact with others. During the past 6 six years since researching and writing my books, Reconciliation: A Son’s Story, and My Journey of Healing in Life After Trauma, Part2, I have observed a huge investment on the part of communities everywhere, with great support on a national level, both public and private, to address the full impact of post traumatic stress on society. We now know trauma is a generational disease that can affect families for decades, even unborn children. The research and evidence is indisputable. In the beginning my research and writing was limited to understanding PTSD and the effect on my own post WWII and Korean War military family experience. Although tackling a painful research project of revisiting the impact of growing up in a profoundly dysfunctional home was emotionally challenging at best, the end result was keen awareness, which led to forgiveness and healing. I have discovered in my research how the wars we fight abroad come home to haunt families and loved ones at the dinner table. We can no longer be silent as a society and allow our children to inhale the pain of their parents who suffer and expect these kids to grow up as typical healthy adults. It is not just the wars we fight that haunt us for generations, it is violence in neighborhoods, crime, alcohol, drugs, and anger that feeds more violence and dysfunctional behaviors. More seriously, these behaviors can carry forward to the next generation, over and over and over again. We can stop the cycle of pain in its tracks by making the discussion and treatment of mental health disorders, alcohol and drug abuse as acceptable as cancer and heart disease treatment. I can say as an aging boomer whose life changed after learning about the enormously painful impact of post traumatic stress and the wide ranging implications, that seeing a trauma informed society emerge in my lifetime is a gift. It gives me peace of mind to believe that we can actually eliminate the stigma of mental illness in my lifetime. This entry was posted in Uncategorized and tagged #Latest #PTSD #PTSDchat #Survivors #Trauma, #traumainformedgrowth, #traumainformedoregon, #traumainformedsociety on January 16, 2017 by stevesparks. 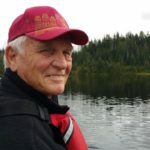 As an author, blogger, child advocate, and mental health champion, my great passion in life during these most valueable retirement years is to help stop the stigma connected with mental health. This goal is especially critical as it relates to the painful tragedy of children growing up in toxic homes where parents suffer with post traumatic stress. Kids inhale the pain of parents and often suffer in silence while exposed to anger, depression, and anxiety over extended periods of time. Children make adjustments and are resilient, but eventually leave home carrying all the emotional baggage with them. Parents, mentors, and teachers can make a huge difference in mitigating the toxic circumstances and longer term emotional damage to children, by becoming sensitive to how youngsters are affected at very early ages. Family members often take on the same symptoms of post traumatic stress if exposed daily to a life of toxic behaviors from adults. I write in my most recent book, My Journey of Healing in Life After Trauma, Part 2, how children can be saved from the emotional damage of growing up in a toxic home. I write in my blog with a focus on Children and Families in Life After Trauma. I also have the honor to serve on the Lincoln County Oregon Mental Health Advisory Committee (MHAC}. In this past year, my work has been extended to a much wider audience as a contributor and radio host for www.ptsdchat.org. With a more recent professional engagement connected to the Lincoln County Oregon Stepping Up Initiative, my heart and soul will be full of good works and positive energy in 2017. I’ll be writing and speaking about these topics and more going forward. I advocate for children because my childhood was consumed by the challenges of growing up with parents who suffered severe emotional damage following WWII and Korean War. My awareness of the symptoms of PTSD was very limited for most of my adult life until deciding to confront my own demons when researching and writing my first book Reconciliation: A Son’s Story. We live in in world where generations of wars have torn apart families, leaving them ignorant of the long term damage of PTSD on children who carry forward the emotional pain and symptoms that can linger for a lifetime without treatment. It is never too late to break the cycle of pain and to begin the journey of healing. I waited until age 64, and now live with a high level of awareness, providing a peace of mind never before achieved. But treating the symptoms of PTSD and keeping the pain at a safe distance is a work in progress. For this reason, I continue to push forward making a difference for others by writing and speaking about post trauma stress, including the toxic circumstances and painful outcomes, which can be mitigated with open and honest communications. Stopping the stigma and denial of this painful and life threatening disease is the first step in healing. We now have the awareness and tools to provide Trauma Informed Care and Mental Health First Aid USA delivered at a local level to more quickly recognize mental health symptoms and identify alternative treatment strategies for those who suffer. My only disclaimer is that my background and experience is that of a trauma survivor, researcher, and author who thrives…and not a mental health professional. 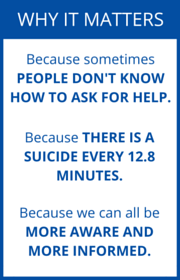 Consistent with my training as a Mental Health First Aid USA Adult Trainer, I encourage appropriate professional help and self-help resources. With best wishes for your good health and happiness! Happy New Year! My Journey of Healing in Life After Trauma Part 2 by Steve Sparks… click the highlighted text for author page. This entry was posted in Uncategorized and tagged #mentalhealthfirstUSA, #mentalhealthstigma, #ptsdchat.org, #steppingupinitiative, #traumainformedgrowth, #traumainformedoregon on December 26, 2016 by stevesparks. Pain Killers and OPIOIDS Kill! Estimated 28,000 People Die Annually in America! Look at Lincoln County Oregon! ….20.2% of young adults ages 18-25 NEED addiction or substance use disorder (SUD) treatment — only 1 to 2% are GETTING any treatment! ….7.5% of youth ages 12-17 NEED SUD treatment. — fewer than 1% are RECEIVING it! ….7.2% of adults over 26 NEED treatment. — only 1.5% to 3.3% are RECEIVING treatment! Oh yeah, and the LEADING CAUSE OF DEATH, in Oregon and Lincoln County, according to the Oregon Health Authority, is OPIOID OVERDOSE! Opioids (including prescription opioid pain relievers and heroin) killed more than 28,000 people in 2014, more than any year on record. At least half of all opioid overdose deaths involve a prescription opioid. “During about 300 missions, Andrew had a steady diet of death and destruction. A combat engineer, Andrew cleared mines and improvised explosive devices from roads before they blew up his fellow Marines, soldiers, and civilians. After nine months, White was sent home and eventually received a medical discharge for PTSD. The above quote from the referenced website article is becoming an all too common tragedy by combat veterans who suffer from the symptoms of PTSD. Since the illness is invisible and soldiers will not even talk about their pain, they become a suicide risk without loved ones getting any warning. The diet of prescription drugs and use of alcohol as well can cause a person to lose hope and no longer have a desire to live. I know from my own experience that the side effects of medications can cause psychotic episodes that put you and others at risk. I remain hopeful that the continued monitoring and research of anti psychotic drugs, especially mixing with other prescription medications, including alcohol will help mitigate a troubling trend. Pain killers came into my life after decades of using alcohol for self-medication. Physical health challenges hit me like a baseball bat once entering mid-life, especially in my 50’s. My doctor was very stern with me about the risk of mixing prescription medications or opioids with alcohol. I drank too much back then anyway, but my ego and self-talk rationalized a determination to start on pain killers and continue my self-medication ways of the past. After just 12-18 months on this new regimen of pain, sleep, and anxiety medications along with alcohol, I was a total basket case to say the least. At age 55 with strong support from my family, doctors, and own hyper-vigilance, I stopped drinking, period! But what I didn’t do is curtail or manage effectively the use of prescription drugs. I became addicted and kept taking prescription drugs as long as recovery from multiple surgeries to replace joints and fix a severe arthritic condition with chronic pain. It took me until my mid 60’s to finally get off of pain medications and other opioids, only to discover then the many alternatives of non-narcotic medications and mindfulness exercises. 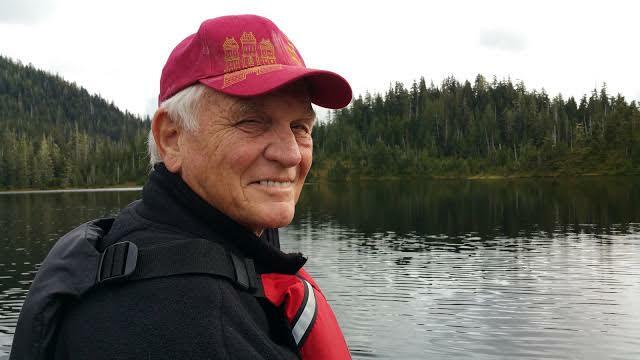 Now at almost age 70, my life is completely free of narcotic based medications for pain, sleep, and anxiety challenges. And what a gift in life it has been not to take anything related to narcotics or alcohol! I feel very lucky to still have a relatively healthy body and mind for the coming golden years of new opportunities and adventures in life. I’m thankful for my wife and soul-mate who has been so supportive and loving for all of our 32 years of marriage. I treasure the many years of happiness together. But without a close friendship and dedication to working together confronting our life challenges, there would not be a future of hope and joy in these later years. My passion to give back and help others who suffer from post-trauma stress has been strengthened by my own life experience. I know we can save lives through building awareness and in advancing the conversation of post-traumatic growth that literally saves the lives of so many children and families in life after trauma. Steve Sparks, Author, Reconciliation: A Son’s Story and My Journey of healing in Life After Trauma, Part 1&2…Click the highlighted text for my author page to order books and other stuff…from Amazon.com. This entry was posted in Uncategorized and tagged #childrenfamilieslifeaftertrauma, #Latest #PTSD #PTSDchat #Survivors #Trauma, #lincolncountyoregonmentalhealth, #opiodskill, #traumainformedgrowth, #traumainformedoregon on August 24, 2016 by stevesparks. Mental Health 1st Aid Comes to Oregon! Why do we need mental health 1st aid training? 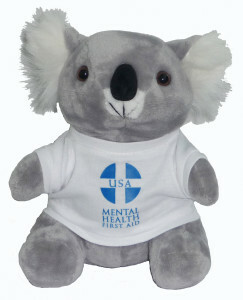 Mental Health 1st Aid Saves Lives! When we started doing an exercise during a community Mental Health 1st Aid workshop to demonstrate how it feels to experience auditory hallucintations, I had not a clue what this term meant. When my fellow student, Winnie, started to talk to me, I was hearing a voice in the background, acted out by another student, Bill, who used a rolled up paper to say weird stuff to me. The questions included, Why are you talking to her? Don’t trust her. Is she looking at you? Why would she want to talk to you? Bill, had this rolled up piece of paper in my ear yelling at me. I started whacking at the bull horn and looking around at him in distress because I could not hear or concentrate on anything Winnie was saying to me. It was at this moment I realized how a person suffering from a psychotic episode must feel. I then realized why so many of us do not know how to respond or what to do when we see a person struggling outwardly from the nagging, disruptive, and painful voices in their head. It was then it hit me like a good slap in the face why Mental Health 1st Aid training must be mandatory in our society as a integral part of America’s First Aid Training. I highly recommend to everyone to make it a personal goal in the coming weeks and months to take the Mental Health 1st Aid one day training in your community. You will receive a certificate of completion to hang up in your office or home that shows you have completed the 8 hour course. It is critical to let others know that you have the awareness, compassion, and empathy for those who struggle with mental health challenges. The workshop will provide the tools to help friends and family, even strangers, in several ways. As part of the class students also receive an easy to read, and well done reference and workbook entitled, Mental Health First Aid USA, First Edition, to keep on hand. Following is the action plan learned from the workshop. You don’t want to miss Mental Health First Aid training when it comes to your community! I feel much better equipped now to help friends and family, and even strangers, who are struggling. Books by Steve Sparks: Reconciliation: A Son’s Story, My Journey of Healing in Life After Trauma, Part 1&2… Click the highlighted text for my author page to order books and other stuff from Amazon. This entry was posted in Uncategorized and tagged #childrenfamilieslifeaftertrauma, #mentalhealth1staid, #ptsdchat.org, #traumainformedoregon on July 16, 2016 by stevesparks. Steve Sparks Interview with Erundina Lopez… A very real discussion on the strength and faith of a trauma survivor…love and hope at the center of healing and returning to a productive and rewarding life… Click the podcast here… There is a short technical delay before the podcast interview starts, so please be just a little bit patient. Thank you! The first time I met Erun Lopez was while watching this heartbreaking account of her sometimes hopeless journey to find a path of healing after a life long struggle living with post-trauma stress. Erun left home at age 14 to escape a violent and abusive home life plagued by the ignorance and total breakdown of communications among family members that often takes shape in a toxic home. Before the interview, I spoke to her on the phone and messaged with her for two days. I felt like her brother, dear friend and kindred spirit before the interview on Wednesday evening June 29, 2016. Erun’s story of surviving, thriving and healing from a life of post trauma emotional pain finally takes her to a place of deep empathy, compassion, forgiveness and love at age 53. Erun is a beautiful person with so much love and so much to give others who need to know that there is hope, even under some of the toughest circumstances you can imagine. Erun now survives and thrives with an eloquent and articulate voice that goes straight to your heart and soul. It was a honor for me to be asked to host the #PTSDchat Talk Radio Show this last Wednesday evening. Please take a listen to this powerful interview that will touch your heart deeply. This entry was posted in Uncategorized and tagged #buriedaboveground, #erunlopez, #Latest #PTSD #PTSDchat #Survivors #Trauma, #survivethriveptsd, #traumainformedoregon, SteveSparks on July 2, 2016 by stevesparks.